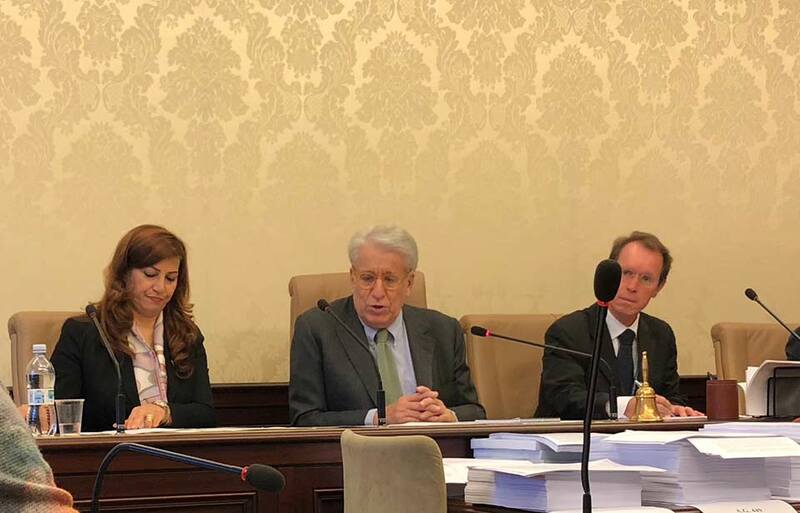 Today, at the Senate of the Republic - Extraordinary Commission for the Protection and Promotion of Human Rights was held the hearing of Mrs. Rezan Kader, High Representative of the Kurdistan Regional Government in Italy. The session was opened by the President of the Commission, Sen. Luigi Manconi and was attended by the Vice President of the Commission, Sen. Riccardo Mazzoni, Dr. Stefano Thaulero - Head of the Interparliamentary Relations Office and the Secretariat of the Commission, Dr. Federico Petrangeli - Head of the Secretariat of the Commission for Foreign Affairs, Hon. D'Ottavio, Hon. Romanini, Sen. Cociancich, Sen. Del Barba, Sen. Corsini and other MPs. After recalling the memory of former Iraqi President Jalal Talabani, who has recently passed, the High Representative has illustrated the current situation in the region, the legitimate reasons that led the Kurdish people to hold a referendum and the reactions of the Central Government, neighboring countries and Western countries. - We are very disappointed, the one who speaks of democracy, first of all should support it - these are the strong words of Mrs. Kader to the so-called "friends" countries who have long praised the Kurdish people for building a country characterized by ethnic - religious integration and leading a four-year fight against Daesh terrorists and hosting about two million refugees and displaced persons, becoming a symbol of stability and peace throughout the Middle East. This is certainly not the prize the Kurdish people expected or deserved. Nevertheless, the Kurdish leadership has invited Baghdad and neighboring countries to dialogue because a further war in the area would not benefit anyone. Facing the wall raised by the central government, Kader leaves to the Western countries, EU, UN the responsibility of restoring civilization and respect for the sovereign will of a people too many times negated and violated.